As one of the main components of traditional Chinese medicine, acupuncture is an ancient health practice that offers a wide range of potential applications and benefits. It’s a highly effective pain-relief technique because it balances the internal flow of energy and stimulates the release of feel-good endorphins. 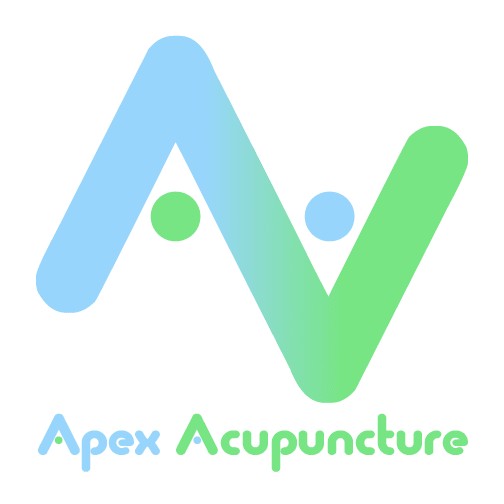 At Apex Acupuncture in Manhattan, New York City, we use acupuncture to provide pain relief, promote weight loss, relieve allergies, address female infertility, and much more. To find out how acupuncture can benefit you, call the office or schedule an appointment online today. Acupuncture is a therapeutic practice rooted in traditional Chinese medicine. It involves the insertion of ultra-thin needles through your skin at strategic points to either stimulate or relax certain bodily systems or specific areas of your body. From a traditional perspective, acupuncture helps balance the flow of energy, or chi, through the various pathways of your body. From a western medical perspective, acupuncture stimulates nerves, muscles, and connective tissues to effectively increase your circulation and promote the release of pain-suppressing endorphins. In the United States, acupuncture is largely regarded as an alternative form of medicine that’s only considered as a possible treatment solution after conventional western medicine has failed. Even so, people of all ages affected by a wide range of health conditions have used acupuncture to successfully relieve their symptoms or treat an underlying problem. Acupuncture is ideal because, unlike medication, it doesn’t have any negative side effects. It’s also valuable because a single acupuncture treatment can address multiple symptoms at once, which often translates to improved health and fewer doctor visits. Acupuncture is commonly used to treat a variety chronic pain conditions, including persistent lower back pain, osteoarthritis, migraines, work-related injuries like carpal tunnel, sports injuries, and fibromyalgia. Acupuncture can also help relieve many of the most common gynecological problems, including premenstrual syndrome (PMS), irregular and painful periods, endometriosis, uterine fibroids, fertility and conception disorders, and menopause. Acupuncture can be beneficial for relieving digestive symptoms and restoring intestinal balance for those who suffer from irritable bowel syndrome (IBS) Crohn’s disease, painful stomach ulcers, constipation, or chronic indigestion. Acupuncture has also proven to be an effective way to relieve or improve many of the most common mental health problems and related disorders, including depression, anxiety, panic disorders, addiction, and insomnia. Acupuncture needles are ultra-thin, so their insertion is gentle and causes little discomfort. Depending on your treatment needs, you may need as few as five needles, or you may require as many as 20 needles. Although acupuncture is never painful, you may momentarily feel a mild aching sensation as each needle reaches its proper depth. Depending on your condition and symptoms, we may also stimulate or calm each acupuncture point. This is done either by gently moving or twirling the needles, or in some cases, by applying heat or mild electrical pulses to the needles. Acupuncture needles typically remain in place for 10-20 minutes, depending on your treatment needs. During this time, you can simply relax and focus on your breathing. Needle removal is quick and doesn’t usually cause any discomfort. To find out how acupuncture can benefit your health, call Apex Acupuncture or schedule an appointment online today.